The High Court today recognised for the first time the constitutional right of Irish people to an environment that is consistent with the human dignity and well-being of citizens. The judgement was made today in relation to a challenge brought by Friends of the Irish Environment against a decision to grant the Dublin Airport Authority a five-year extension to a 2007 planning permission for the construction of a third runway at Dublin Airport. 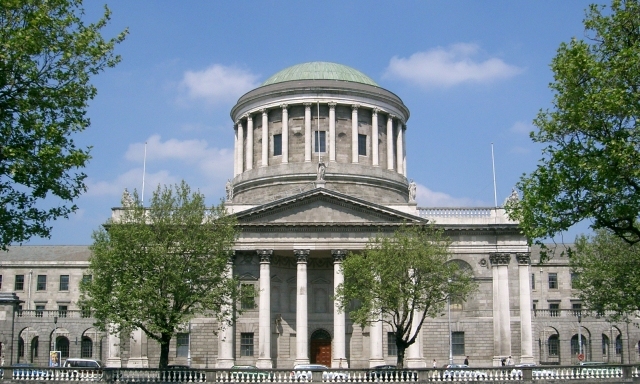 In support of its case, the Cork-based environmental group argued that the Irish constitution granted implicit environmental protections. While dismissing FiE’s challenge, Mr Justice Barrett recognised for the first time a constitutional right to environmental protection “that is consistent with the human dignity and well-being of citizens at large”. In his judgement, Mr Justice Barrett said that such a right “is an essential condition for the fulfilment of all human rights”. “It is an indispensable existential right that is enjoyed universally, yet which is vested personally as a right that presents and can be seen always to have presented, and to enjoy protection, under Art. 40.3.1 of the Constitution. It is not so utopian a right that it can never be enforced,” the judgement continues. A spokesperson for FIE said that the group expects the decision to have “profound implications beyond the scope of this case”. “The state now has a duty to protect the environment in a way that is consistent with this newly established right,” the statement continued. The Green Party also “strongly welcomed” the recognition by the High Court, with its leader, Eamon Ryan, TD, describing the move as “historic”. “This is a hugely progressive move, and will aid in future legal cases to hold the Government and State accountable for their responsibilities in environmental protection and tackling climate change,” Mr Ryan said. FIE argued that Fingal County Council has failed to meet the requirements of Ireland’s climate legislation in extending the permission for the proposed third runway at Dublin Airport. The challenge was dismissed today on the technical grounds that FIE didn’t have legal standing to bring a challenge under the relevant legislation. According to FIE, the group will now consult with its legal team to consider an appeal in relation to the “narrow points of law on which the case was dismissed”.